Adds SELECT ALL link to code and php blocks to allow for easy copying. Code Select All modifies code and php blocks to add a "Select All" link in the codeblock title. This allows for easy copying of the contents by simply clicking the link. The link appearance can also be altered via the "select_all" class. 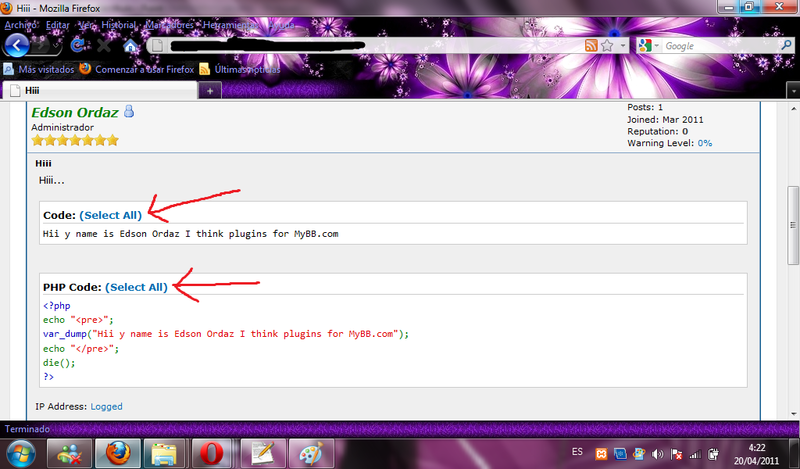 To install, unpack the contents of the archive at the root of your forum, then Activate the plugin (no install needed).